1).Turning off the printer , and pulling out the plug. 2).Removing the right side printer cover(cartridge side). 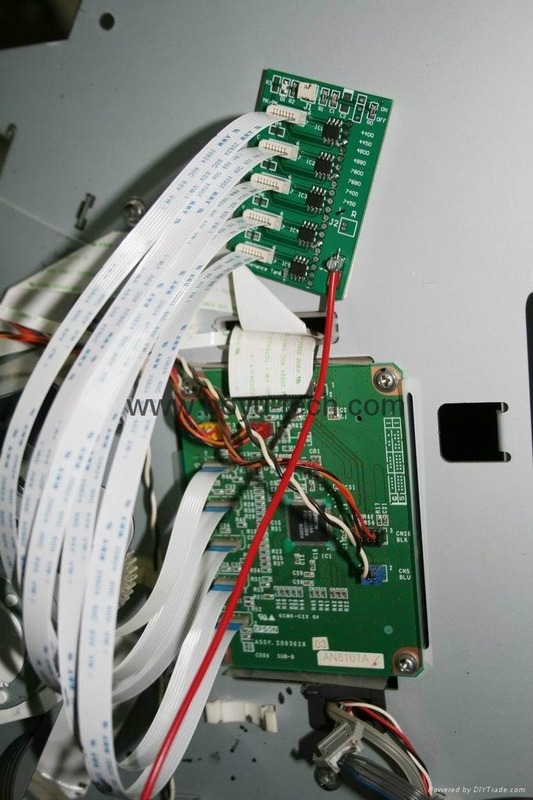 3).installing chip decoder into Mainboard. 4).corresponding grooves aligned decoder chip, so that contact probes corresponding cartridge decoder on chip. 5).two components close to. If the red light, said contact good. 6).5 seconds later, the red light into green light, said cartridge chip records have been refreshed. 7).cartridges into the new dye ink or other brand / compatible ink can be used. 8).Installing back the printer cover, turning on the printer,and then it could be work. 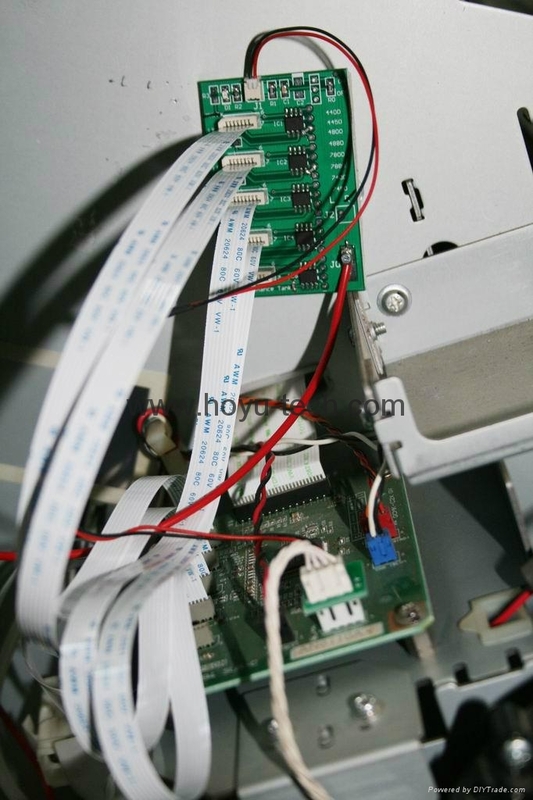 1.when the printer is printing,users have to check the ink level, to avoid hurting the printhead. 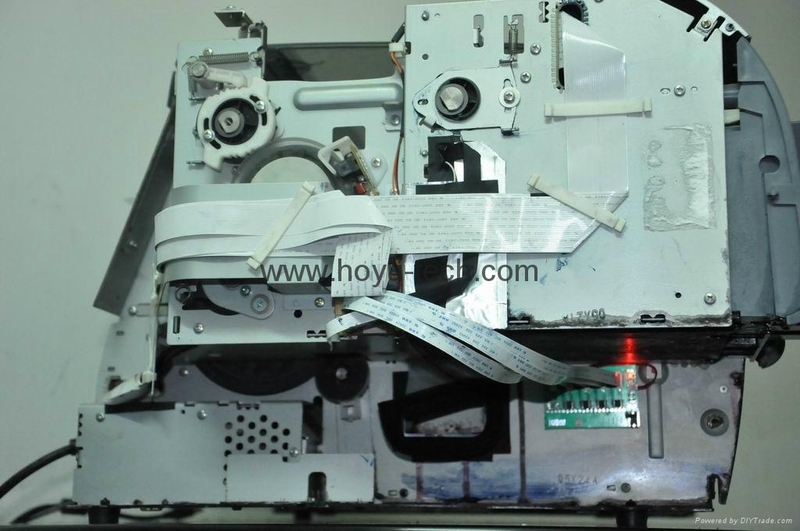 2.don't removing of the cartridge and adding the inks ,when the printer is working,because it will damage the printer or printhead. 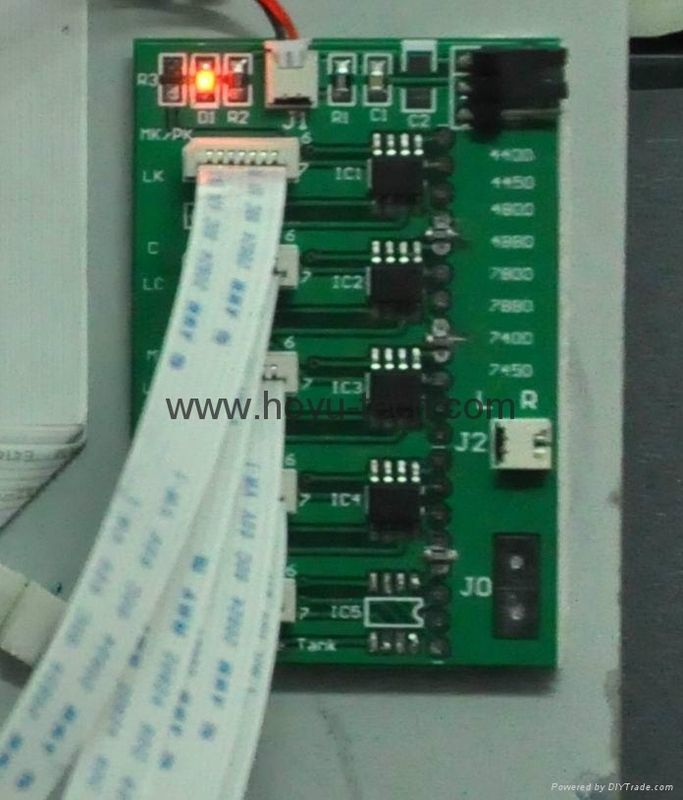 3.the chip decoder need to be used with original cartridge and chip.